The U.S. market can be daunting for international investors and entrepreneurs because of its size and complexity. 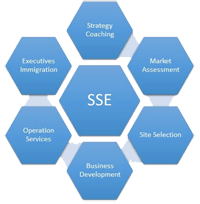 The diversity of the nation’s population and thus a company’s potential customers is a vital consideration for anyone considering business opportunities in the U.S. Sunshine State Enterprises begins working with partners in a period of strategy coaching. This period’s activities include evaluating the nation’s market diversity, the partners’ business opportunity to ensure that its target is specified, and the partners’ strategy to ensure that it aligns with the market’s realities. Sunshine State’s consultants have the entrepreneurial experience necessary to guide you through this process in the course of a few consultations. 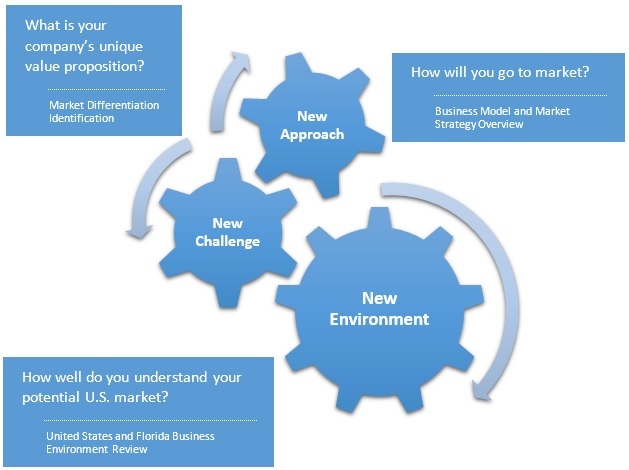 We’ll work with you to fairly assess your business opportunity, which will help you craft a solid strategy for your U.S. market entrance.